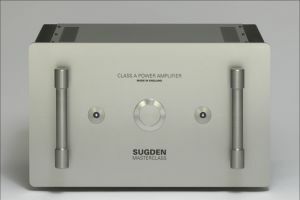 The Sugden Audio SPA-4 stereo power amp has facilities for asymmetric (phono/RCA) or balanced inputs, the latter utilising a virtual transformer (discreet) balanced input circuit. The power amplifiers are symmetrical, current feedback, dc-coupled, gain stages with servo controlled dc off-set and multi emitter output devices. 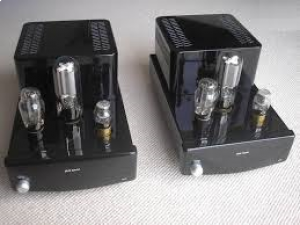 The 845 triode was originally developed by RCA in 1931 as a radio transmitting and audio amplification valve. The anode is machined from solid graphite to allow high power dissipation. It has an extremely linear transfer characteristic. In recent years, a renewed interest in this kind of valve has resulted in them being manufactured again by various factories in China.